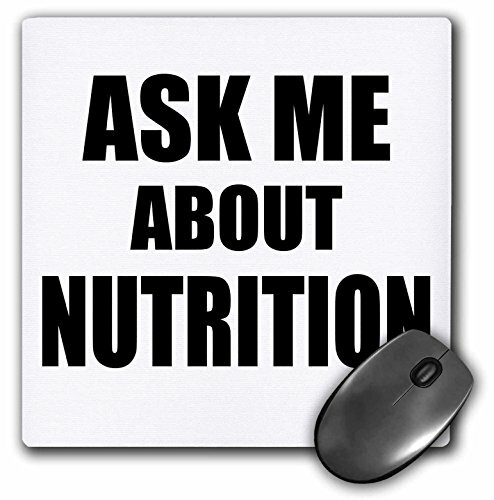 Ask me about Nutrition - advertise your Nutritionist work - job advert - self-promotion advertising Mouse Pad is 8" x 8" x .25" and is made of heavy-duty recycled rubber. Matte finish image will not fade or peel. Machine washable using a mild detergent and air dry.